1) Is there too much institutional seed capital? 2) Are there too many seed funds? While often conflated, these are two very different questions. Is there too much seed capital in venture? No, I don’t think there is too much institutional seed capital. I’d posit that the ~$4B raised annually by seed VC’s (along with the nominal seed allocations for traditional venture funds) is relatively light when compared to the opportunity within the innovation sector. Not unlike the industrial revolution of the late 17th century, I believe we are just entering into a similar revolution borne out of the technology sector. While technology booms in the past were typically a function of specific innovations (internet, mobile, mainframe computing), we currently live in a world of technological ubiquity that is enabled by robust infrastructure and distribution networks and more importantly, pervasive consumer/commercial acceptance and adoption of technology. Look no further than the public markets where the top five US public companies by market value are technology companies, valued collectively at $3T. Traditional non-technology companies have also tangibly acknowledged that adoption of technology is no longer an option, but a necessary component of survival and scale. This has spurred a massive increase of corporate venture capital in recent years along with substantial growth of acquisition of technology companies by non-traditional acquirers such as Wal-Mart, Unilever, and General Motors. Are there too many seed funds? While the answer is much more nuanced than just the visceral “feel” of too many funds, the answer is probably still a yes. Before I delve into the why, let’s acknowledge the benefits of having 500+ seed funds, including mass optionality for founders and the positive impact the seed fund universe has had in driving diversity at the investing level. That said, a venture fund’s viability is a function of its ability to drive consistent returns for its limited partners, and the growth in the number of seed funds has required managers to navigate much more complex waters to generate alpha returns. 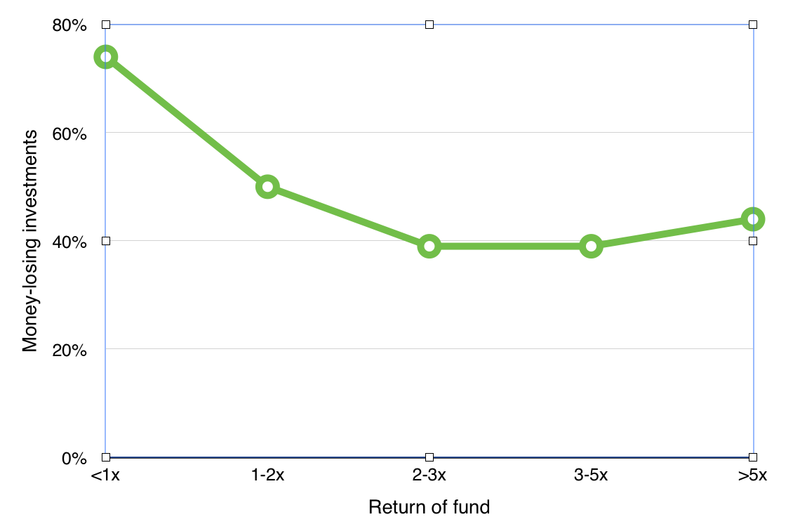 Despite the advantaged mathematics of returning a small fund, the reality is managers already faced long odds of returning alpha (3–5X) before the saturation of the seed fund market. The charts below illustrate the home run driven nature of venture capital, regardless of fund size (courtesy of Horsley Bridge). While some may opine that massive home runs are necessary just for larger funds, the math suggests otherwise. I acknowledge that the he necessity of outlier outcomes for alpha venture fund performance isn’t by any means a profound insight. However, I think it’s a necessary reminder for those that are raising funds as I’m observing a recurring trend where too many funds are falling short in risk/return optimization. There are several reasons for this, led by the reasons below. Overfunding of trends has become almost axiomatic in venture capital and it’s certainly no different at the seed stage. On one hand, it’s understandable as momentum investing offers the collegial comfort of numerous co-investors with an easier line of sight for portfolio companies to follow on funding from traditional venture firms. While this helps managers optimize on short term vanity milestones (logo collecting and markups) it rarely results in a great return profile. In particular, the valuation bloat that comes with trend investing along with the corresponding risk of investing in saturated markets (companies are often high CAC/capital intensive) creates a huge imbalance of risk relative to return. As I’ve mentioned in a prior post, there are many flavors of portfolio construction that can work. Whether it’s a high conviction/concentrated portfolio (<20–25 companies) or an indexed portfolio approach (50+ companies), there are several roads that could pave the path to outsized fund performance. The issue we see is that too many funds are falling into the dreaded no-man’s land of having a concentrated portfolio without meaningful ownership stakes. This usually is a direct byproduct of not taking the requisite risk required to get ownership (I think 7–10% initial ownership should be the minimum targets for any fund $30MM or higher). Whether this risk taking is non-consensus bets, pre-traction deals, or simply being a larger part of a round, strong initial ownership is a must to make the math work. There is a natural business model incongruence that exists between LP’s, GP’s, and entrepreneurs. As managers raise larger funds, they usually write larger checks as opposed to more checks (the latter would create scale issues). 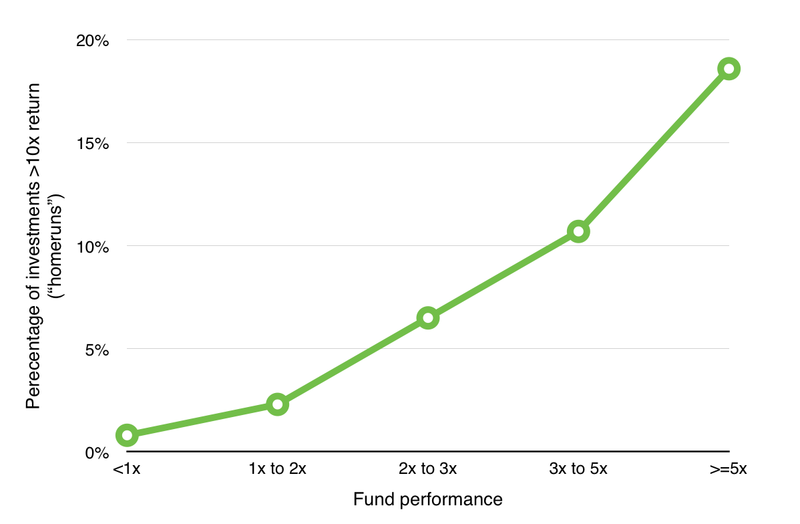 In the seed fund market, this means bigger seed rounds with higher valuations. These higher valuations can create anchors for companies that miss milestones or have the misfortune of running into rocky market conditions. Larger rounds also can result in creating poor financial hygiene within companies. Even if measures are taken to clean up the risk/return problems that persist at the seed fund level, it’s difficult to estimate what the right number of funds should be. What I do know however is that it’s time for seed managers to take some risk — and get paid for it when they do. In venture, fortune definitely favors the bold.